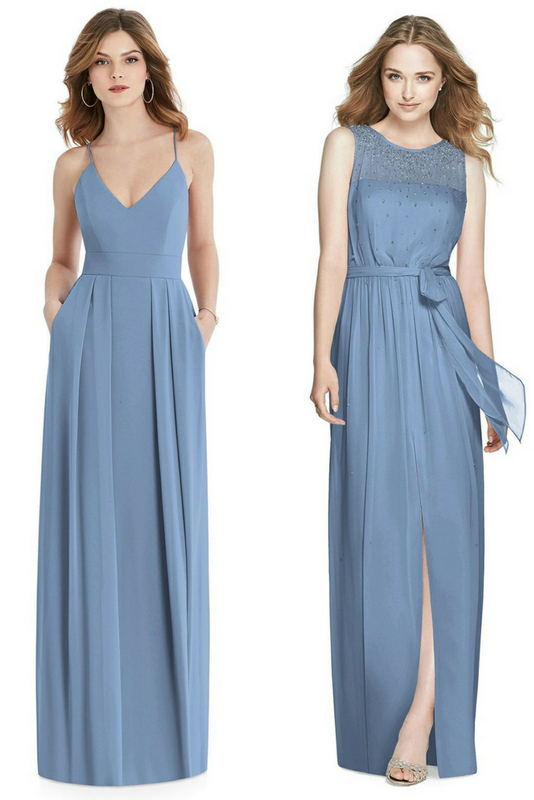 Steel blue bridesmaid dresses are elegant, chic and work beautifully from day to night. What's more, steel blue is an ideal color to choose for your wedding day for all sorts of reasons. It blends beautifully with white flowers or contrasting vibrant shades. 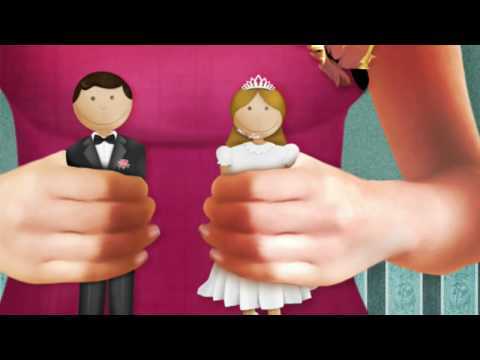 Don't feel either that you have to put your girls in the same style dress. Think about who would suit a halter neck, who'd look good in something strapless and who would look best in sleeves. If your girls are curvaceous, Dessy styles are all available in plus sizes. 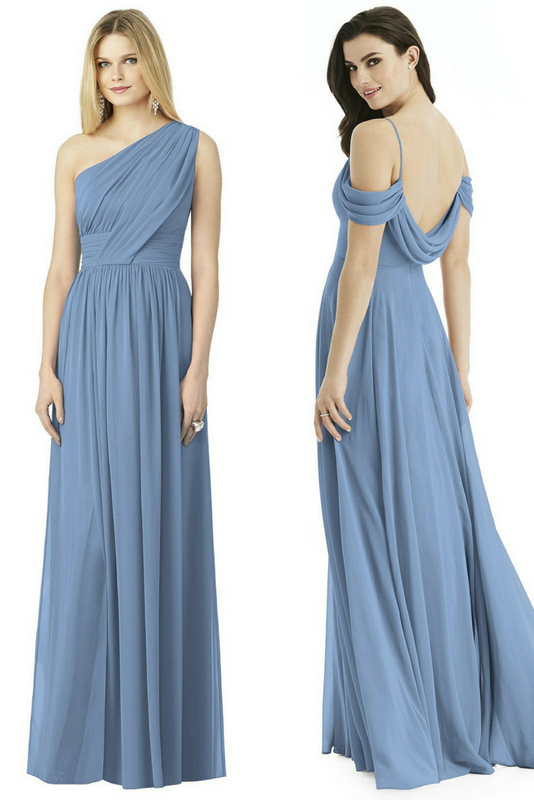 If you have young, pre-teen bridesmaids who are too old to be flowergirls but won't fit an adult style, then check out our Junior Bridesmaid dresses. 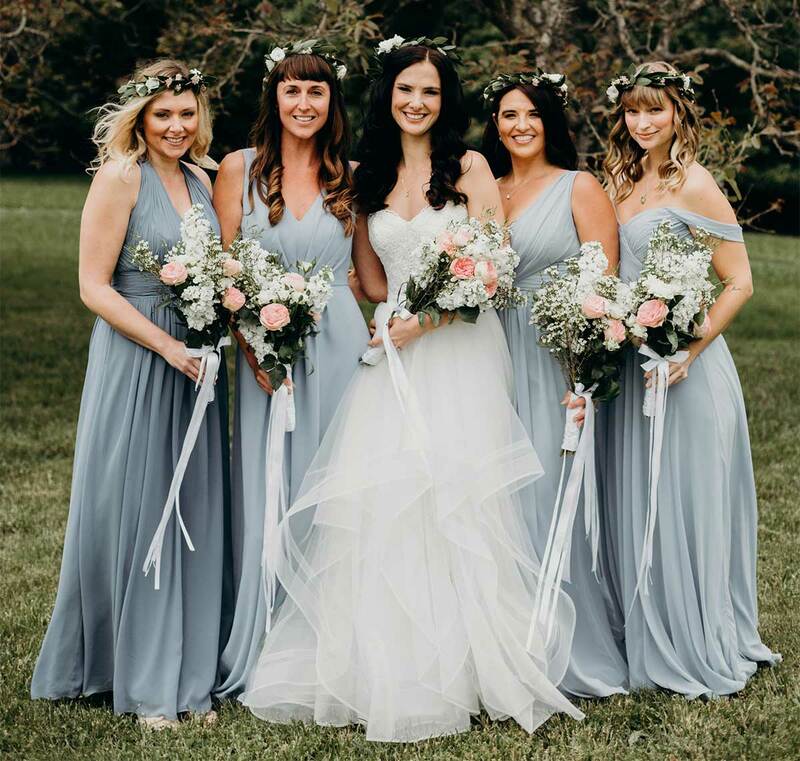 For more inspiration read our previous advice on necklines to suit your bridesmaids and dresses for different types of girls. Your color reference for Dessy steel blue shades are Windsor Blue, Larkspur, Cloudy. Use our Pantone color reference tool and fabric swatches to get your exact color match and share with your vendors. For your wedding bouquet, you could choose the blue shades that your bridesmaids are wearing. And then get the counter-contrast by having all-white bouquets made for your maids, to tie in with your wedding dress. Now that would be super-stylish. 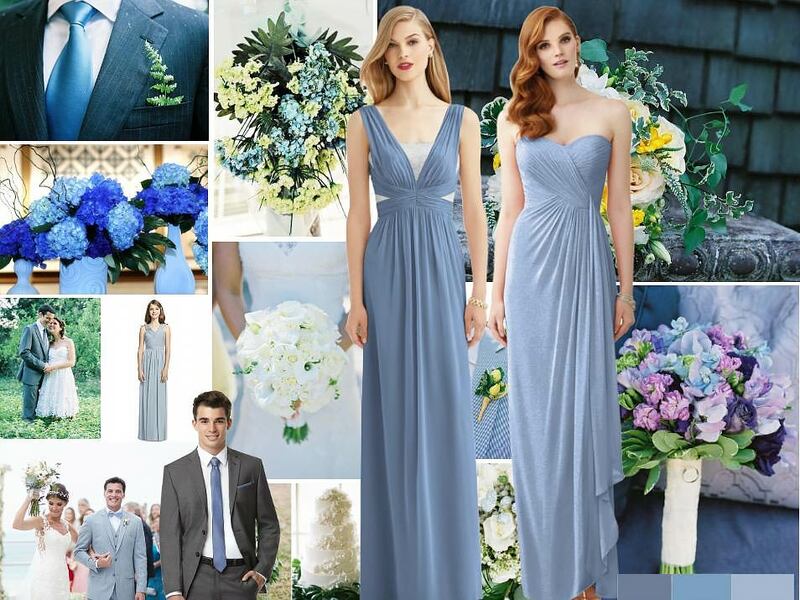 Steel blue bridesmaid dresses look fabulous with white flowers and at a winter or summer wedding.